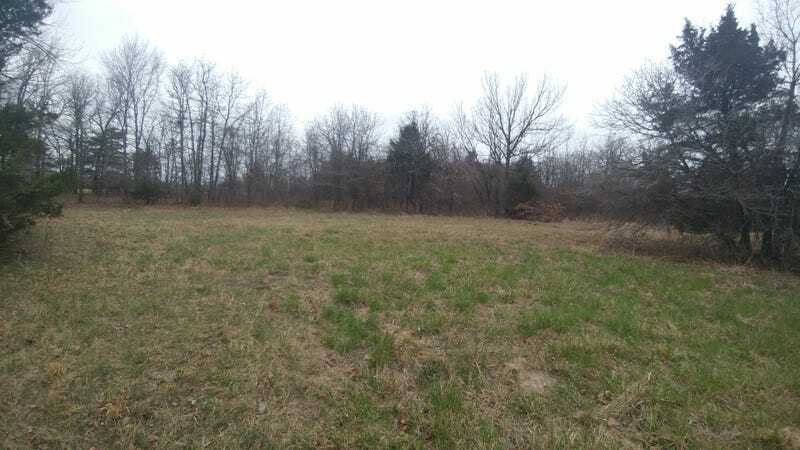 In my ongoing quest to find a better home for my various automotive projects, I went out to look at 8.8 acres of land approximately 25 minutes from my house. It was surprisingly awesome. First of all, this is the first time I’ve gone to look at a plot and been surprised at how large it is, rather than the other way around. The lot is oddly shaped, which I think helps. The creek mentioned in the listing doesn’t run though the lot, it is one of the borders of the land. It is also super awesome. The pond was considerably less impressive, but certainly has potential. Evidence of wildlife was everywhere too. I almost took this home for the pups, but decided that’d be a little shady shade. No utilities is a little problematic, to the point that I’d want to consider solar or solar + wind over paying to run electricity. Just spit balling. Lots to think about here. I’d actually pretty well convinced myself to by the crazy shop that is close to the house, now dubbed the “Crack Shack” but this one certainly has me thinking.